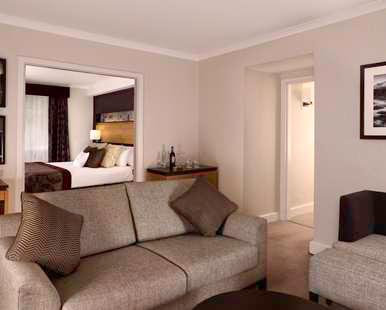 We will indulge and enjoy our stay in this beautifully decorated room with Scottish countryside views. This elegant room features the comfortable Sweet Dreams® by DoubleTree double bed. Additional touches include bathrobe, slippers, tea and coffee making facilities. We will feel pampered with our stay in this elegant guest room which features the comfort of the Sweet Dreams® double bed. We can surf the web with Wi-Fi access or relax and watch an on-demand movie on the 26-inch TV. We will reinvigorate ourselves in the bathroom with amenities. Additional touches include tea and coffee making facilities. We will indulge in the extra space of this Junior Suite with Sweet Dreams® bed and an additional double sofa bed. We will soak every night in the bathtub in our bathroom that includes a bathrobe, slippers, complimentary house wine and handmade chocolates. We will get lost in the countryside views from this spacious Superior Suite with separate living and dining areas. This comfortable suite features one king size Sweet Dreams® bed, a sofa bed and a walk-in wardrobe. Special touches include bathrobes, slippers, complimentary mineral water, house wine and handmade chocolates. 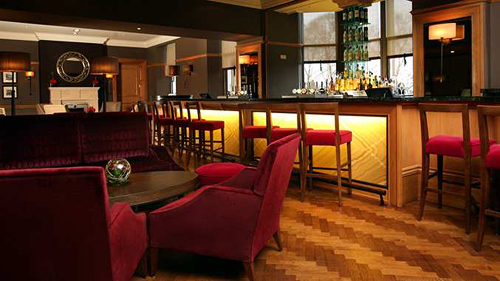 We will unwind after a day of sightseeing and treat ourselves to a single malt or an after dinner liqueur in the stylish Lounge Bar at the DoubleTree by Hilton Dunblane Hydro. 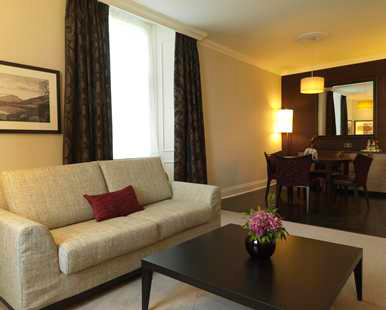 We will curl up in one of the comfortable sofas and take in panoramic views of the hotel's stunning surroundings. We will indulge in traditional Scottish cuisine in The Kailyard by Nick Nairn Restaurant at the DoubleTree by Hilton Dunblane Hydro, with delicious dishes incorporating fresh, seasonal ingredients. Savor Sunday lunch as we marvel at stunning views over the Campsie Fells. We will unwind with a drink in this contemporary lounge area adjacent to the Cocktail Bar. We will relax in one of the comfortable sofas or armchairs while admiring the stunning views over the rolling lawns with a malt whisky or glass of wine. 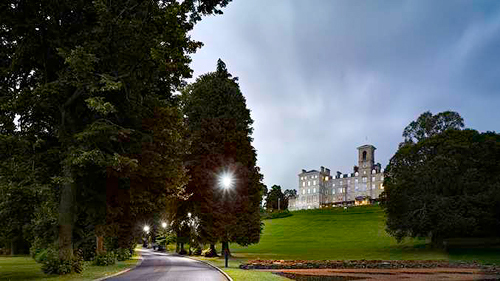 Only 40 minutes from both Edinburgh and Glasgow and a 5 minute drive from historic Stirling, the DoubleTree by Hilton Dunblane Hydro is the ideal retreat to help us make the most of our honeymoon. 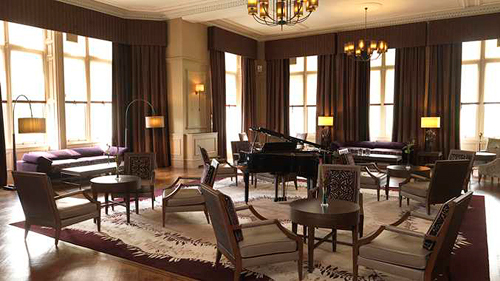 Set within 10 acres of private grounds, this Victorian style hotel combines traditional elegance, contemporary comfort and a warm DoubleTree welcome. We will keep connected to our friends and family from the comfort of our guest room or suite with Wi-Fi. Our room uniquely reflects the character of this traditional building without compromising on modern amenities. We will stay active during our stay with a trip to the Health and Fitness Club. 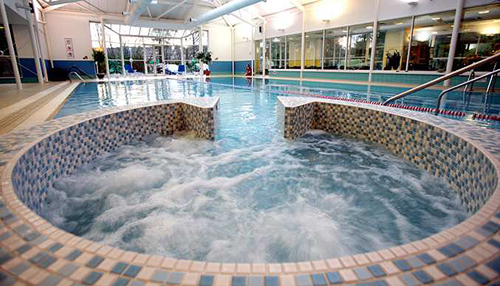 Swim laps in the indoor pool, work out in the fitness room or simply luxuriate in the sauna or steam room. We will indulge in an unforgettable meal at The Kailyard by Nick Nairn, with signature cuisine designed by Scotland's youngest Michelin Star winner. 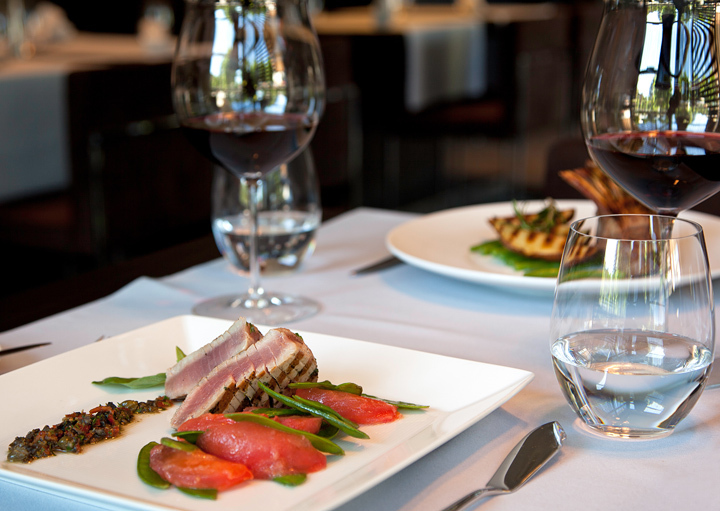 This Dunblane restaurant specializes in seasonal local produce and serves stunning, simple dishes in a relaxed yet elegant atmosphere. 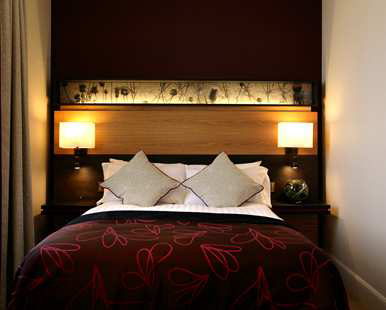 We will treat ourselves to an overnight break for two including the famous DoubleTree by Hilton Buffet Breakfast and dinner in The Kailyard by Nick Nairn restaurant. 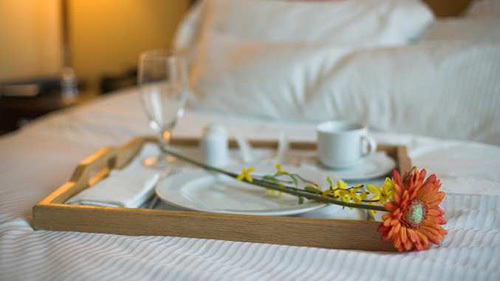 We will also wake up to true luxury with breakfast in bed. Savoring scrumptious full Scottish breakfast, toast and coffee, or even a Hot Chocolate is made all the better by enjoying it in the bedroom! We will enjoy a two-night Midweek Golf Package! 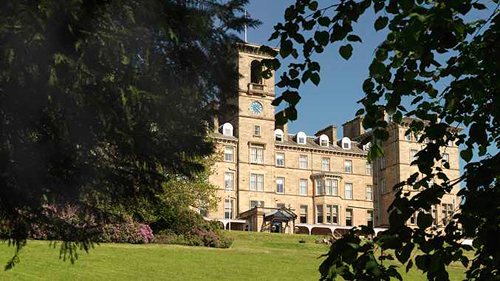 Package includes a one night’s bed and breakfast at DoubleTree by Hilton Dunblane Hydro dinner on the first night in The Kailyard by Nick Nairn restaurant, and a round of golf per person at one of three of the finest championship courses in Scotland. We will indulge in an overnight stay to ease away the everyday stresses and strains of life. 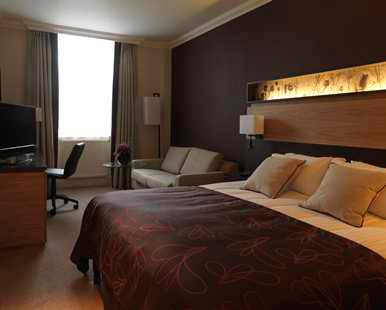 Our stay includes accommodation in one of the comfortable DoubleTree guest rooms with a full Scottish Breakfast. 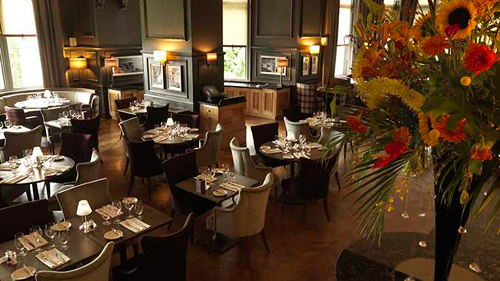 We will enjoy dinner in the Kailyard by Nick Nairn restaurant with a fabulous array of some of the best dishes, all designed and chosen by Nick using the finest Scottish and locally sourced ingredients. We will also choose one per person between a Mini-facial, File and polish of fingers or toes, or back, or a Neck and shoulders massage. 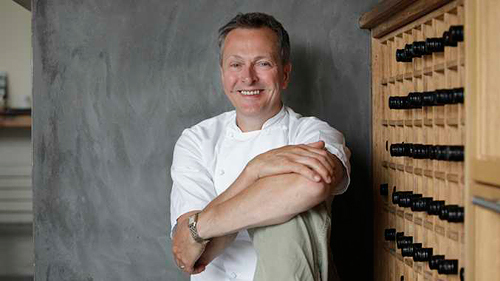 Nestled at Lake of Menteith, Nick Nairn's cook school is only 20 minutes from DoubleTree by Hilton Dunblane Hydro. After a good rest in one of the guest rooms and a hearty Scottish breakfast we'll be taken to the cook school to start a full day of demonstrations, coaching and hands on cooking. When we are ready (and the wine is finished) we'll be collected and transported back to the hotel so we can relax and look back on our day over a light supper in our lounge. 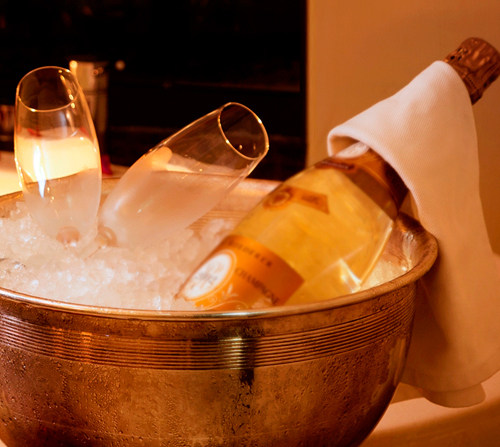 A chilled bottle of champagne will be delivered to our room or suite. We will make a toast to our romantic honeymoon from our balcony or the interior of our room!